Nelson Cattle Drive is a family affair, two girls help with the cattle drive in , Alpine Wyoming. 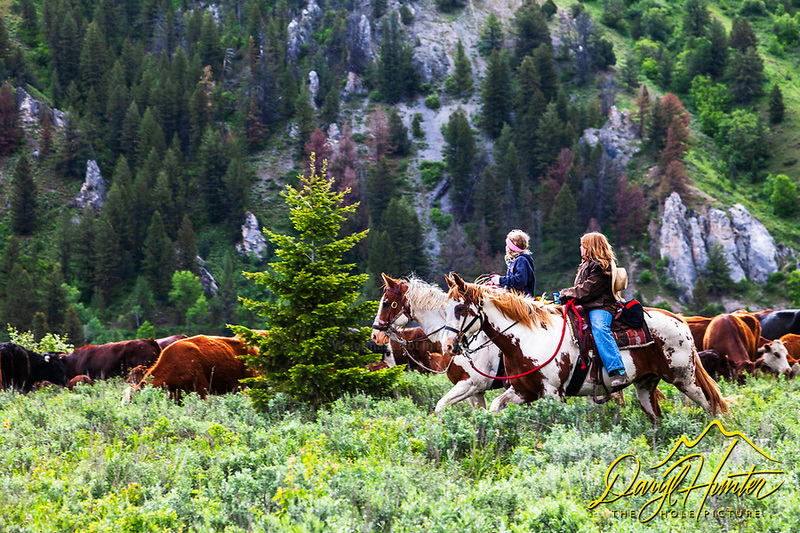 June is the time many ranchers move their cattle to the mountains so they can grow hay on their property so the cows will have something to eat when they come out of the mountains for the winter...My photos are not to be used for anti public land ranching interests. The cowboys of the west are under assault because many don't like to see their cows on public land. I have written a couple of articles articulating the problem.